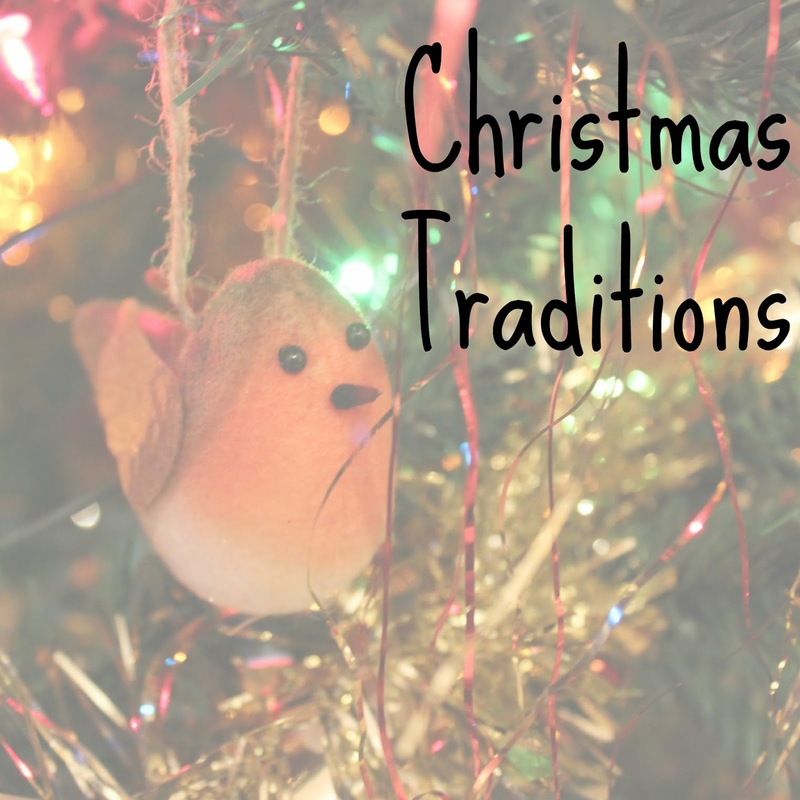 One of my favourite things about this time of year is talking about the different Christmas traditions people have, every family have their little things which they have to do every year, and it is fascinating to find out about them. So in the spirit of nosiness, I thought I would share my family traditions with you all as we are now only 2 more sleeps away from the big day! It is my little sisters birthday on Christmas day, which means that things aren't always the same as everyone else's, and it helps to make the day extra special. Starting with the tree. This is my family Christmas tree, the one in my house is decorated in the same family style - nothing matches, and covered in the spangly stringy bits (does anyone actually know what they're called?). Although certain decorations have come and gone, the very 80s fairy on the top of the tree is always the constant, and the last thing to be placed on the tree. There are two doors in my parents' living room, and as children, Nat and I would have one each to blu-tack the Christmas cards we got from our school friends to, with cards to our parents being shared out between the doors. One of my favourite parts of this was having to try and fit as many on the door as possible, tetris style. 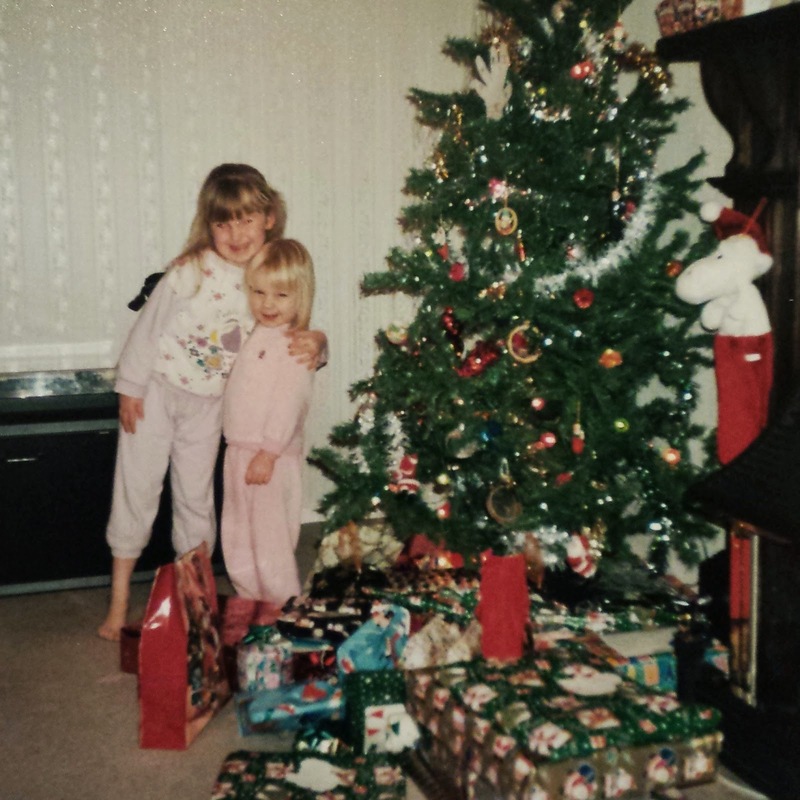 We would always be very excited on Christmas eve, bouncing around the house, and wanting to go to bed early so it would be Christmas day sooner! Santa was always left a brandy and a mince pie, and Rudolph was left a bowl of water and a carrot. The carrot was always left with teeth marks in the end of it, and there were always crumbs in the mince pie tray, as proof that they had actually been in our bedroom. On Christmas day itself, we would always wake up very early, and feel our stockings to see if Santa had been. Then there would always be a very loud whisper of "Are you awake?" followed by me whisper singing Happy Birthday to Nat. 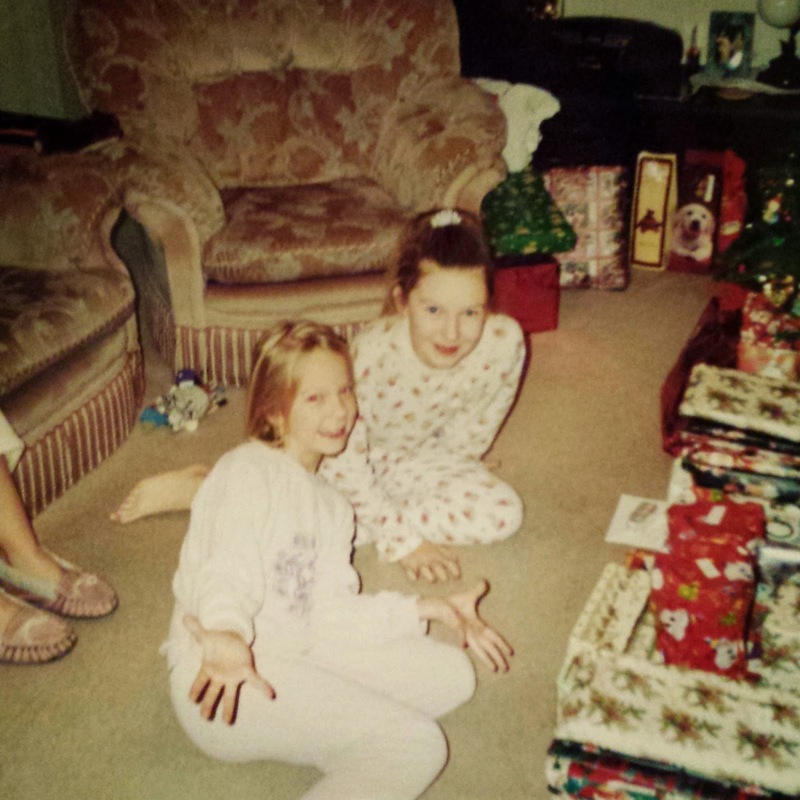 We would both sit on one of our beds and begin to open the stocking presents, all the while waiting for the knock on the wall between our parents bedroom and our bedroom. The knock would be the signal that they were awake and we would run in with our stockings to show Mum and Dad what we had been given. Every year we always have had our photo taken in our pyjamas (but dressed now that we're older) stood next to the Christmas tree. My parents keep meaning to try and collate them all together, as it would be very cute to see us getting bigger and bigger until now when we're both as tall as the tree! It has always been a bit more difficult to actually get a picture of the two of us next to the tree in recent years because we aren't often both at home on Christmas day, but we still have one when we can! Can I just point out my very short pyjama bottoms on that picture. #tallgirlproblems. We would begin to open our Christmas presents, they are always numbered, and set out in a mirrored way so that we open our equivalent presents at the same time as each other, with joint presents in the middle. We have to remind Mum every year now that I go on the left of the fireplace and Nat goes on the right. Wrapping paper gets chucked into one corner, and Nat always winds up being buried in it at the end of the opening! When we were very little we used to go to my Nanna Gollins' for Christmas dinner with my Aunt and Uncle, but then we all got a bit big, so my Mum has cooked us a dinner at home ever since. We always have a fishy starter, which is my responsibility to make. I have been adventurous in previous years, but last year as I was working right up until Christmas, I just reverted back to the traditional smoked salmon, prawn cocktail and a little bit of side salad. Crackers can't be pulled until the main course though! 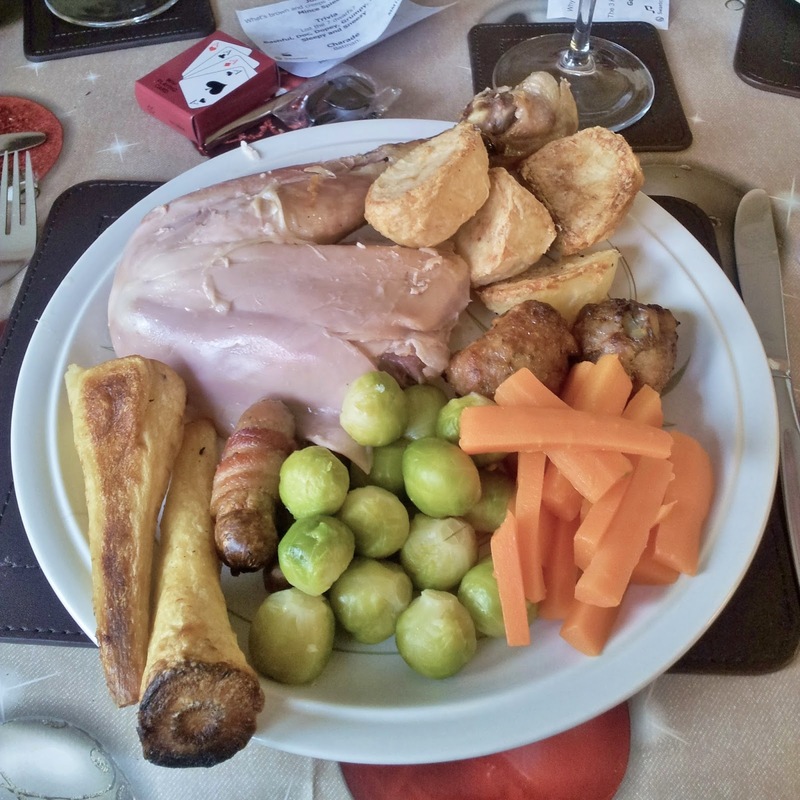 Christmas dinner consists of turkey, pigs in blankets, stuffing, roast potatoes, roast parsnips, carrots and sprouts, all drowned in gravy of course. I love having the big discussion about what people have on their Christmas dinners, myself and Rich have discussed this this year, and we would definitely do a hybrid of both of our mothers dinners, as there are parts of both that we really enjoy! At my Mum and Dad's house, we never make it to a dessert on Christmas day as we are far too full, so instead we just go back into the lounge and eat a few chocolates and wait until Christmas Tea. Tea time on Christmas day is usually when we celebrate Nat's birthday, my Nanna and step Grandad come over, and we have a buffet, all finished off with birthday cake. Its proper yummy, and a really nice chilled out end of the day. So there we have my family traditional Christmas. It's beginning to get a bit more mixed up these days, as myself and Rich spend every other Christmas down south at Rich's Mum's house, which I really enjoy, even though it is very odd hearing seagulls on Christmas day! It is interesting to be a part of a different families traditions for Christmas, and there are some elements which I prefer and will be keeping when myself and Rich have our first Christmas on our own. If anyone wants to let me know about their traditions, and what they have on their Christmas dinner, I will be very interested to know, so leave me a comment! I wrote a comment on this at lunchtime and my phone wouldn't let me post it :( I am quite thankful it hasn't posted it a billion times though because I was worried that would happen. I LOVED this post, I must be nosy as well cos I love hearing about how people spend their Christmasses, it's lovely how each family has different traditions. Love that you number your presents! Such a good idea! We always throw ours in a big unorganised mess and it can take forever to dig through them! This year is my first Christmas away from the family, Ill be spending it up in Newcastle and we have Simon's Mum to come and stay. Haha if it had I'd have known my Christmas came early! Hope you have a brilliant Christmas, it's very odd the first one you spend away from home, but it's great all the same!